Home Travel Siegfried & Roy’s Secret Garden & Dolphin Habitat at The Mirage. When people ask me why I’m obsessed with Las Vegas and I begin to tell them that there’s more to The Strip than just casinos they often act so surprised. I guess, Vegas is one of those places until you see it photos don’t do it justice. I’ve been five times now and each time I just fall a little more in love with it. I think it’ll forever hold a special place in my heart. On our last visit in November, we went to places we’ve never previously been to in the hotels on the strip from seeing Tenors of Rock at Harrah’s. To Giada in The Cromwell. We ate at Mercato della Pescheria, saw Donny and Marie and went to a meet and greet afterwards. Raided the Rock Vault, went to the Neon Boneyard. Rode the High Roller and we did something that appeared to surprise anybody we spoke to. 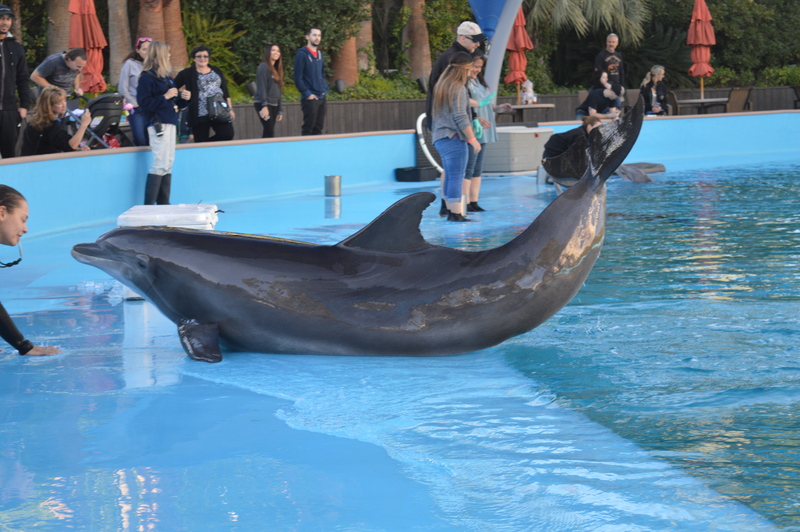 We went to Siegfried and Roy’s Secret Garden & Dolphin Habitat at The Mirage. This is Vegas after all. Now we’ve seen the Secret Garden advertised every time we have previously visited. We just never have actually gone to see this attraction. It wasn’t until the last day when we decided to cash in some of our My Vegas chips from a virtual game we play on our phones, which allows you to spend your gold coins on real attractions, dining and hotels in Vegas. We had decided we’d purchase some Vegas Rewards tickets to The Secret Garden & Dolphin Habitat. Prices for the attraction are All-Day Adventure Pass: $22 Children 4-12: $17. We headed into the Garden and made our way down to the Dolphin Habitat where we came to the first huge pool (the Birth and Research pool) which housed the 5 dolphins. The newest calf alongside her mother Huf n Puf and sister Bella both of whom were born at the Mirage. Also joining them are grandma Duchess and Sofi. We couldn’t see any dolphins on the top of the pool so headed down below to the viewing platform. Which I’ve since found out they offer morning yoga sessions here with the dolphins swimming past, which I personally think would be so tranquil and relaxing. 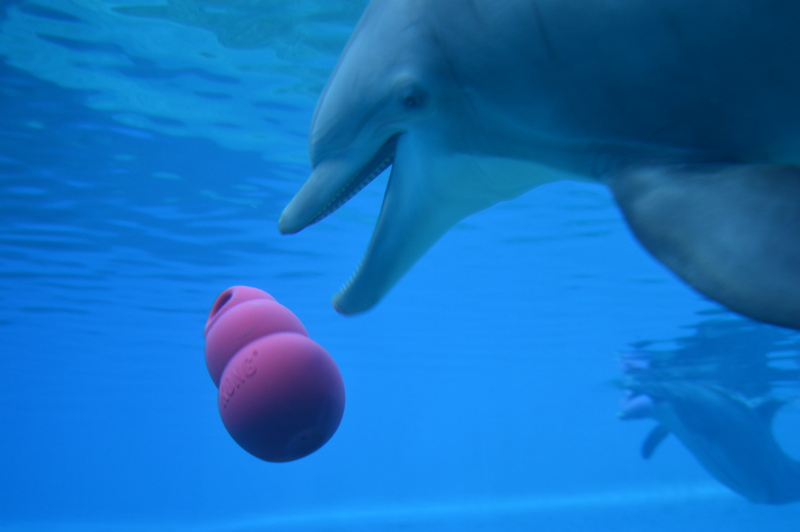 As the dolphins darted and dived around they were playing with KONG dog toys. One very mischevious dolphin was tossing her toy up right in front of us, almost as if she was putting on a show. The thing is, I’ve seen dolphin ‘shows’ in Orlando, Tunisia and even Tenerife, however, these have always been shows. 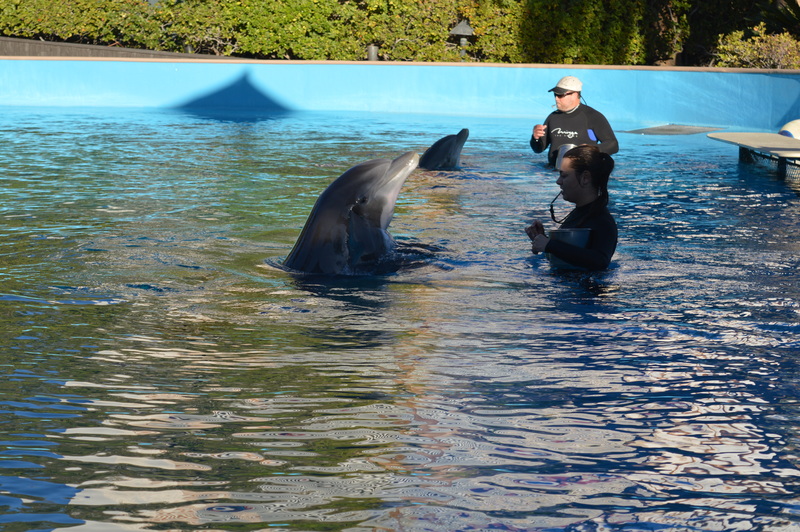 Here, the dolphins were able to just be themselves and that’s what was the best part of the Mirage’s Secret Garden. 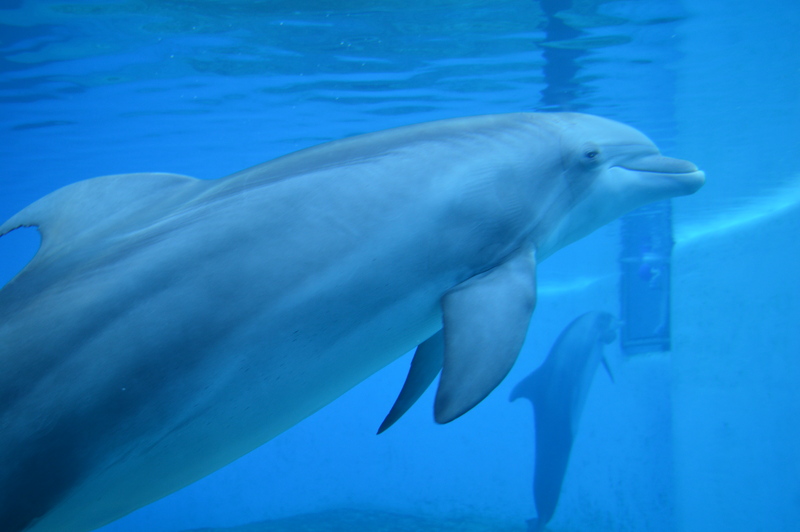 The dolphins are able to just do as they wish. They’re not forced to do tricks. 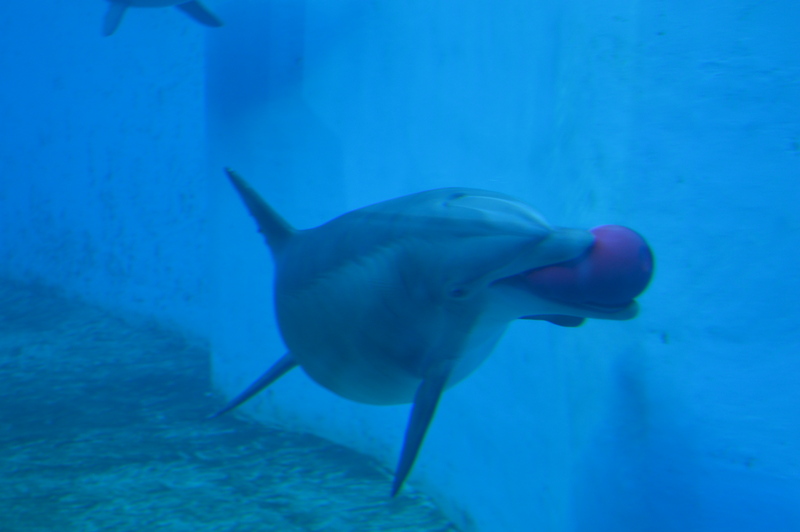 Yes, every couple of hours they’re all taken into the performance area, however, there’s one trainer per dolphin and it’s very much like when I do tricks with Ziggy. It’s on a dolphin to trainer basis and the dolphin almost leads the trainer. Only partaking in tricks for their own enjoyment and not part of a show. I have to admit I took over 500 photos of dolphins, a little excessive, I know. However, I’ve never seen a happier dolphin in my life! After we spent 30 minutes watching the dolphins and their trainers’ play, with the most incredible bond, we walked a little further and arrived at the Secret Garden. This is where Siegfried and Roy’s Lions are housed. 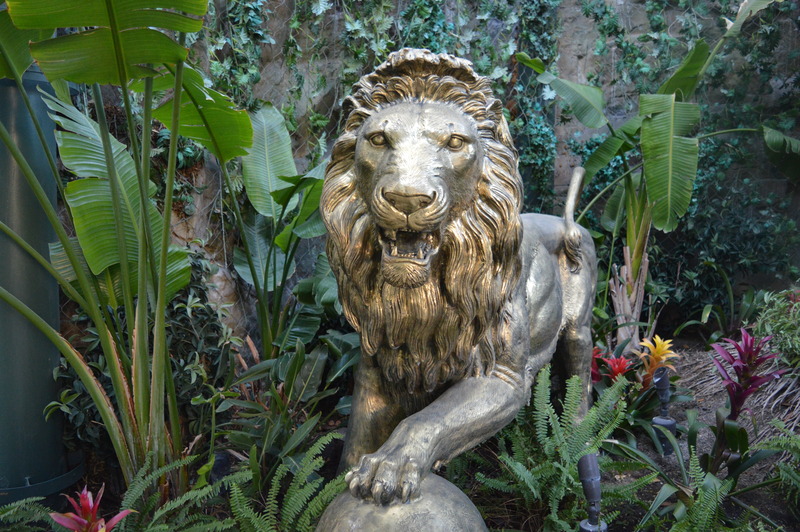 The Mirage itself was originally built for Siegfried and Roy to perform their act of changing Roy into a Lion and move them from the MGM, which still uses the Lions as part of their logo. Inside the Secret Garden, there are around 8-10 wild cats. We had headed in around 3 pm on the afternoon we were leaving. 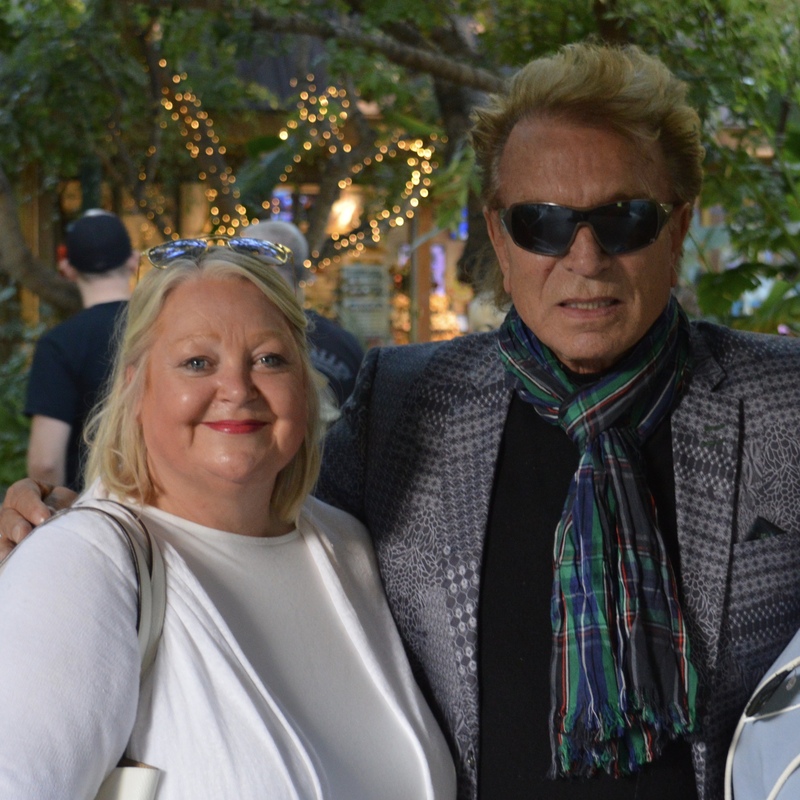 As we entered the security guard stopped us and asked us if we’d like a photo taken with Siegfried, we were thrown. He posed for a photo and asked where we were from. Being of German descent he stopped and chatted with us for a while before performing a magical illusion on my Mum. Amazingly he ‘pulled’ a coin from her arm in a sleight-of-hand- a trick which was fantastic to see. She was thrilled. He was absolutely lovely and we all laughed together. 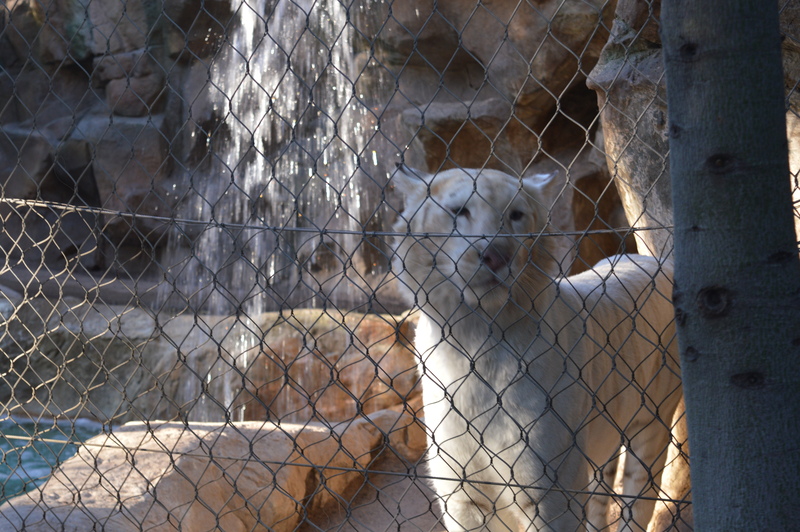 As we visited the wild cat enclosure she was absolutely elated and grinned from ear to ear. It’s funny to hear that Roy, the 1/2 of the duo who rarely leaves their palace outside of Vegas, wasn’t actually mauled by the tiger and in fact, saved. Roy still remains that he was having a stroked when the tiger dragged him off stage to save him. It’s funny as I believe this. When I’m not well or feeling down Ziggy comes and cuddles into me almost as if he knows. He does know! Like the tiger clearly knew with Roy. 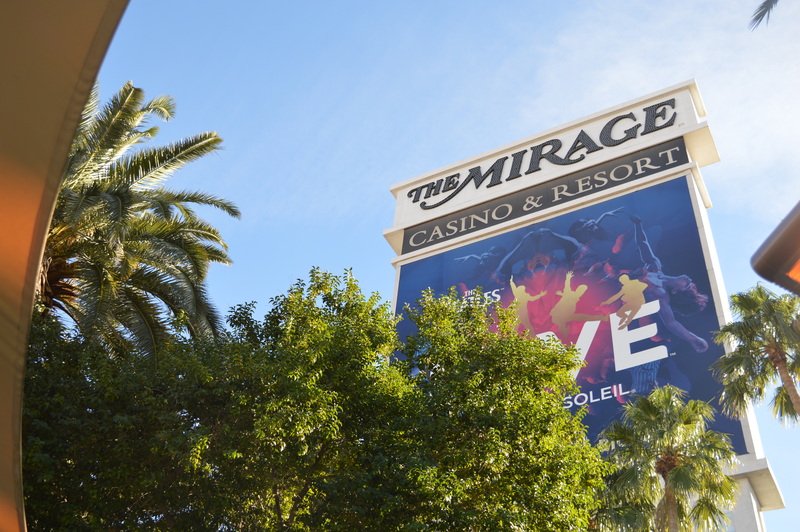 Anyways back to The Mirage. As my Mum walked around the Secret Garden absolutely elated with her coin from Siegfried we snapped photos and then left. Telling everybody she came into contact about the coin the staff of the attraction admitted he had been visiting later than usual (he usually visits daily or if not every other day) and he very rarely performs that trick. 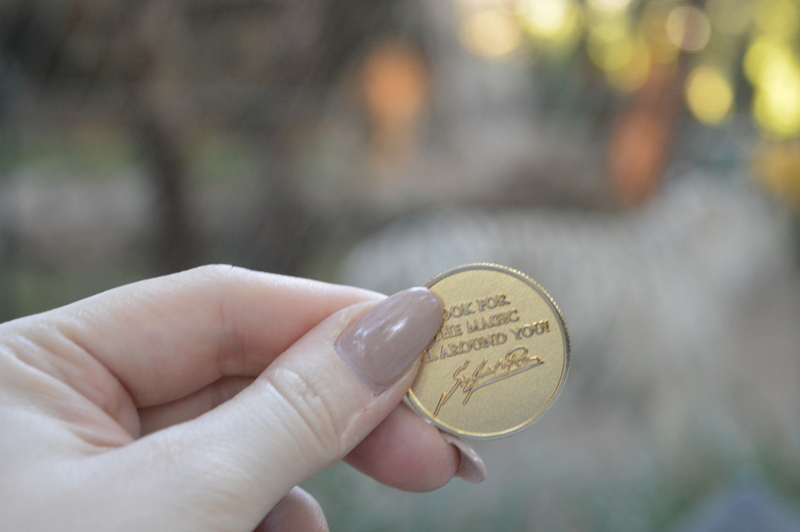 With a coin etched saying ‘Look for the magic all around you’ we truly believe our afternoon at The Mirage’s Secret Garden & Habitat was full of magic and highly recommend it to anybody who is looking for an hour to kill in Vegas. It comes highly recommended if you’re visiting Vegas and you can pre-book tickets here.